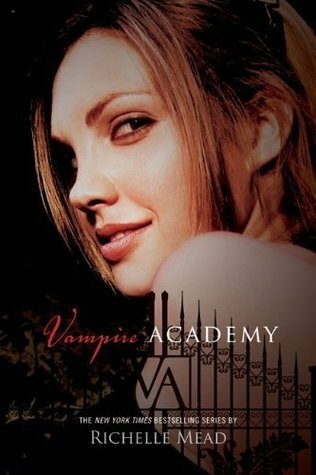 I'd been wanting to read Vampire Academy for some time, partly because of the hype, but also because it has one of my favorite things: vampires! And you know, I don't know if I expected this to be good or bad or what. It ended up actually not being that bad, maybe better than I had expected. But it certainly had some issues. In short: I liked Vampire Academy. I did. I just think it had these elements I wasn't expecting, and that kind of threw me off. It has the makings of a fun novel and the hint of a light, enjoyable series. And I do want to finish this series at some point, if only so I can see what all the fuss is about and to get to the Bloodlines books. But at the same time, I'm kind of surprised this series has such a huge following and all the hype. We'll have to wait and see, I guess! Would I purchase it? Already own it! Who would I recommend it to? Vampire fans and people who like their books with some cattiness! I thought the movie was actually pretty good, but I had REALLY low expectations after seeing the trailers. And I had read the book before seeing the movie and love the books. I do think they get better as they go on, if you decide to read the sequels.